If the authorities don’t want to take harsh steps to curb crime, then expect crime to get worse. And it is the same with medical aid fraud. This particular crime is on the rise. Millions are lost to services and products that were never ever provided. Fraud within the medical aid industry has been going on for years. And just last year the Board of Healthcare Funders tell us that medical aid schemes lost R10-billion through fraud. The Board has said that 10% -15% claims are fraudulent. Medscheme received 1500 tip-offs about fraud, managing to recover R107 million which had been lost to fraudulent claims. Discovery Health alone was defrauded in 2017 by more than R500 million. Kenneth Marion, chief operating officer at Bonitas says that it is estimated that 15% of claims in the health-care industry have some element of fraud in them as well as abuse. Schemes such as Bonitas as well as other schemes are having to turn to big data analytics to curb fraud. 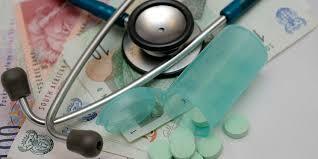 They look at different patterns with both medical aid members and providers so as to keep fraud under control. Of course, the biggest concern is whether the industry is winning or not. It’s like a vicious circle really because a negative effect is that with all this fraud, medical aids put up their premiums more than they’d like to because of these fraudulent activities. What it is amounting to is that the private healthcare sector has since become inaccessible to people who can’t afford the huge premiums. Dr Hlei Nhlapo, Chair of the Healthcare Forensic Management Unit says that most medical aid members don’t understand the benefits of their medical aid plans and they try all kinds of things. He said that members also pass their medical aid cards on willy nilly to unregistered family members to use. These same medical aid members are bitter about the monthly premiums they must pay for medical aid and they feel they must do what it takes to get something back from the medical aid industry. Even between doctors, there is abuse of codes, and doctors themselves do one thing and then send in a claim that isn’t in keeping with what they did, claiming much more money. There are a number of health professionals and service providers who have already been criminally charged. Most healthcare professionals are ethical people who make it their focus to deliver honest and quality services to their patients. For the minority that are committing fraud and abuse against the medical schemes, they have simply put good medical care out of the reach of many ordinary South Africans. Medical aid members found guilty of committing fraud will have their membership terminated and a criminal case will be opened. Fraudulent claims submitted will be reversed and the guilty member will be liable for them as well. The next medical schemes fraud conference will be held in October 2018. In the meantime there is a legal obligation for anyone aware of fraud to report it.